Student Club Fair is Thursday! This is a terrific opportunity for students to explore new interests, meet new friends, and build their college resumes. Please encourage your students to join at least one club this year. 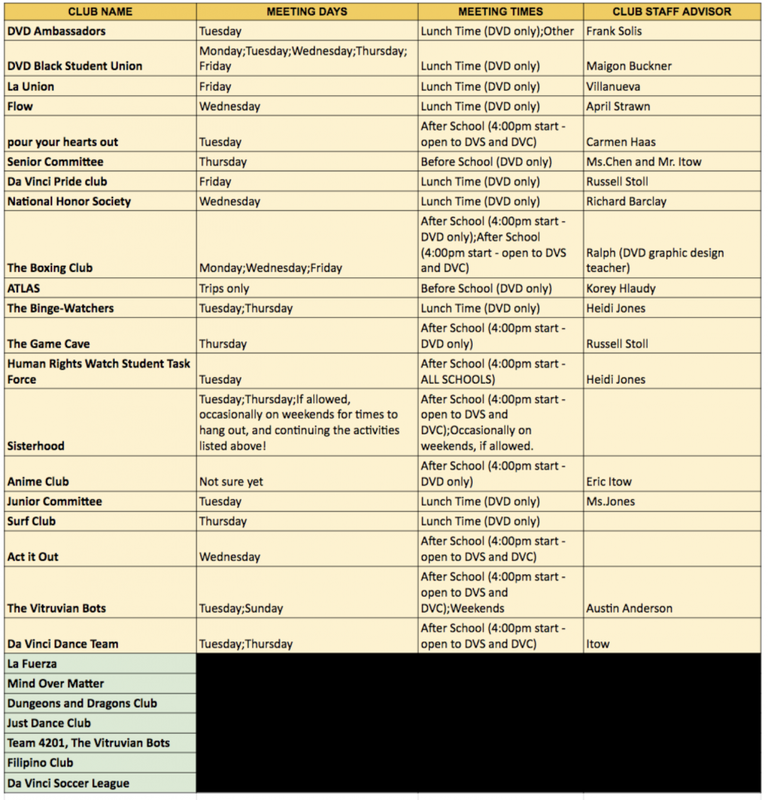 The yellow clubs are DVD clubs and the green clubs are run by DVC and DVS and are open to all DV high school students. More information will be distributed during the club fair tomorrow morning.